Businesses and IT executives are frustrated by their current software and more than 80 percent of executives have had to change a part of their daily operations to match the way their software works according to a new report. The survey of over 500 executives carried out by development platform provider TrackVia finds that integration or compatibility with other software and applications is cited as the top priority by 32 percent, yet also the biggest challenge (31 percent) for executives. 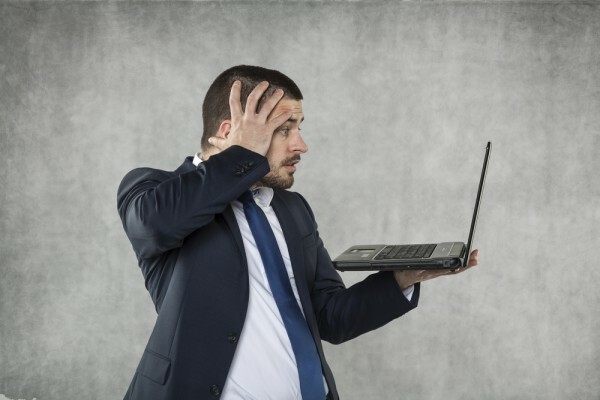 But existing enterprise software is failing as a solution, 76 percent say they have replaced enterprise software programs, because they needed updates or customizations made that their vendor could not execute or the software itself couldn't accommodate. The study also looked at attitudes to next generation low-code platforms which allow users to rapidly and efficiently create fully customized applications with a minimum of hand-coding, setup and deployment. It finds low-code software is gaining momentum with just eight percent of executives not familiar with low-code software solutions. Nearly one in three of those surveyed is already leveraging this technology and another 43 percent saying they are interested in low-code. "The last significant shift in enterprise software was the migration from on-premise to off-premise software which addressed some of traditional software's distribution and pricing challenges, but did comparatively little to address the needs of the people who actually use the software to do their work," says Charles Var, VP of marketing for TrackVia. "The continued frustration with almost this entire class of enterprise software is encouraging businesses to find solutions that work the way businesses want and need them to function on any device, anytime, and from anywhere." You can find out more in the full report which is available to download from the TrackVia website.